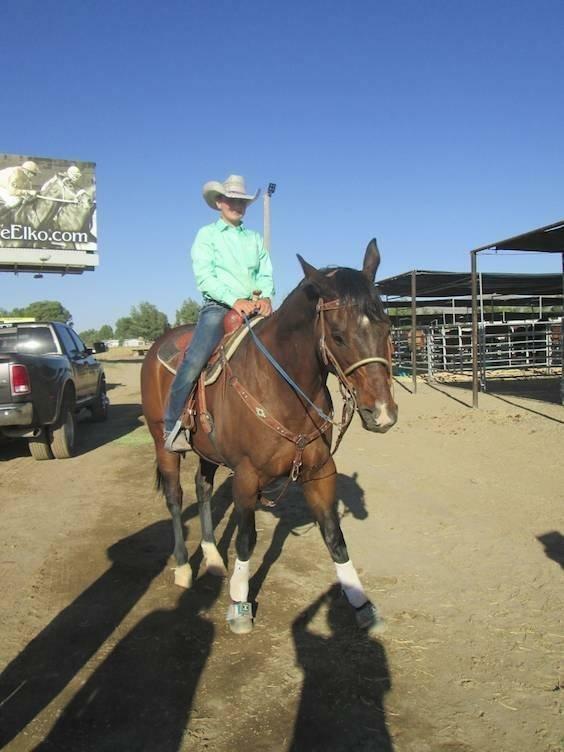 On the opening weekend of the junior high rodeo season, Graycee Mills scored big. She placed first in poles, first and sixth in barrels, third and ninth in girls’ goat tying, and sixth in girls’ breakaway. Other Emery junior high team members scoring in the top ten and qualifying for state in the early rodeo included Monty Christiansen, first in saddle bronc, fourth in barebacks and fifth in bulls, and Race Gordon, eighth in the boys’ breakaway. Godron and partner Zeek Weber roped in 19.539 seconds to secure eighth place. Stace Gilbert was eighth in boys’ goats, Shaynee Fox finished 10th in girls’ goats, and Kinlie Jensen along with partner Ty Fackrell captured fifth in ribbon roping. This was a two-day rodeo sponsored by Central Utah Rodeo Club and competition was keen at the Nephi Arena. The next junior high rodeo will be in Duchesne at the end of September followed by Emery’s rodeo at the Carbon County arena the first weekend in October.